Today I would like to show you a card I made using Pie Tilda from the Sweet Crazy Love collection. I masked her to the Spring Fence. The sentiment is from LOTV. I made this for the Totally Tilda design team call using the inspiration photo. Here is a close up of Tilda. And a close up of the flower arrangement. I honestly do not know what it is about roses but I just love them. I will mix other flowers with them but didn’t have any for this one that worked so just went forward with my favorite. Gorgeous card Stephanie I think you have a very good eye for colour, the colours you used match up really well with the inspirational photo, your colouring is superb as is your skill of masking, Tilda looks perfect perched on that fence. Your card is so beautiful!!! All of the elements compliment each other so perfectly. You definitely have a knack for color coordinating (wish I had that skill... lol). All of the cards you do are just fabulous!!!! 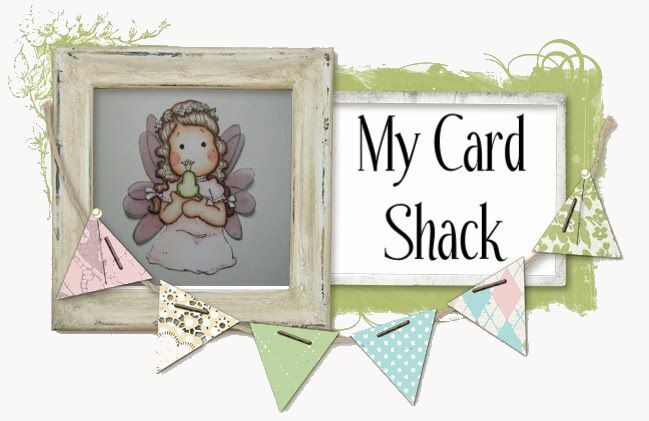 I am so impressed AND inspired by how you can create a card so quickly that is absolutely gorgeous!!! What a gorgeous card. Love how you matched the colours perfectly with the Inspiration Photo. it's a beautiful card! Good Luck! Very Beautiful, I wish you luck in the DT call. Gorgeous Tilda creation great take on the colour combo love how it all gels together perfectly...thanks for sharing good luck in the TT DT call. Oh Stephanie, this card is adorable! I just love the design and the colors. Tilda is gorgeous! I love this card! It has to be among my favs! You did a great job!